Directions: Mix together ground meat, egg, spices and onion. Shape into small 1″ balls. For sous vide place them in the freezer for about 15 minutes so they maintain shape. Place in vacuum seal bag. Place sous vide on 140 degrees cook for 1.5 hours. Remove and Sear over a medium high heat in olive oil until brown about 1-2 minutes. Remove from pan. Melt butter in the same pan. Stir in Flour and whisk until creamy and bubbly. Slowly stir in broth and cream. Whisk in Worcestershire sauce and dijon mustard. Place mushrooms in the sauce and meatballs back in. Continue cooking for 2-3 minutes until mushrooms are soft. Serve over mashed potatoes or egg noodles. this can also be done in the Instant Pot. Mix together meatballs like above. Place IP on saute with olive oil brown meatballs.Stir in 1 cup beef broth. Place on manual high pressure for 5 minutes. Remove meatballs. Place on saute. Follow above directions for the sauce and enjoy. 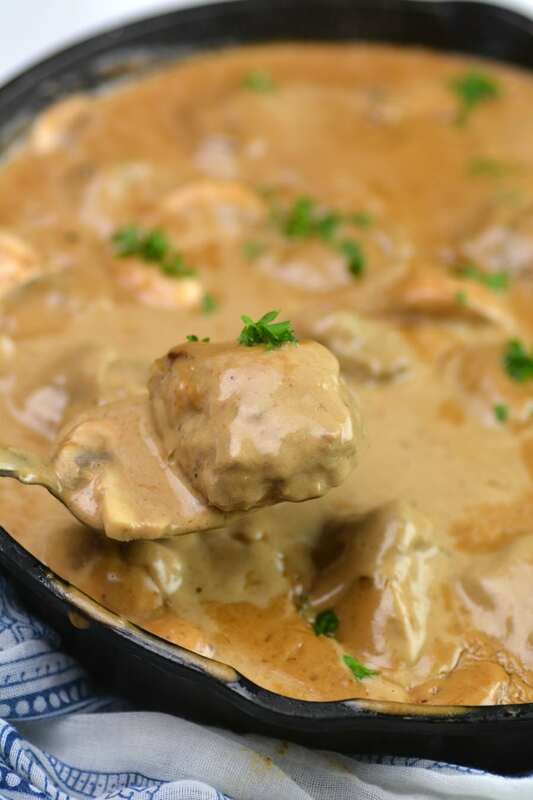 IP Swedish meatballs -my favorite!! I have been reading about sous vide for years now. This year I have decided to go for it. Tonight we are going to trial making the Swedish meatballs. Hoping to make the cooking experience a ‘date’ night with my husband of 39 years. Wish us luck!